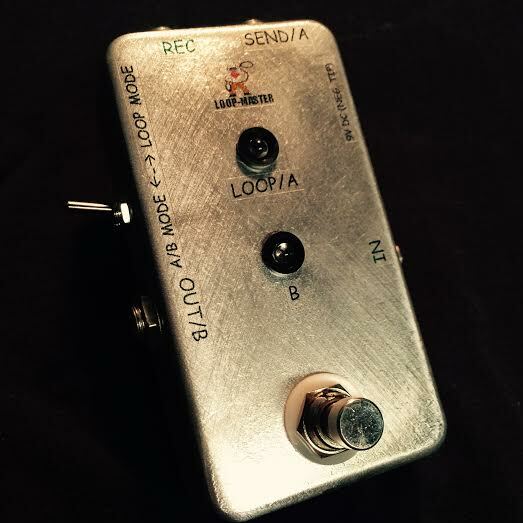 You can't use an A/B box as a true bypass looper and you can't use a true bypass looper as an A/B without bleedover problems but this little pedal will allow you proper functionABility for both of these applications and more at the flip of a switch so, if you're using it as a stand-alone looper, it will ground out the effect input when in bypass mode for zero noise. And if you use it as an A/B box or tuner mute, just flip the side toggle switch once and it will be set in A/B mode and it will ground out A when not in use and ground out B when not in use. Also, when in loop mode, only the "loop/A" LED will light up when the loop is on telling you that you are definitely in loop mode. When in A/B mode, both LED indicators will operational just like any other A/B box w/LEDS. 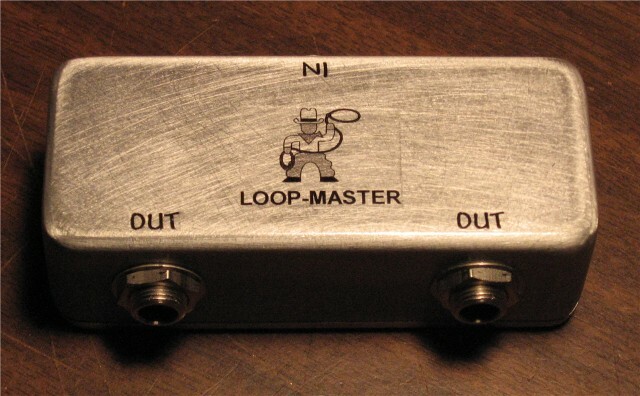 loop tone-sucking effects for a better signal in your chain: (guitar to "In", "Send" to the effect input, "Receive" to the effect output, and "Out" to your amp. If you have an amp that has 1/4" channel jack for changing channels, you can connect a cABle up to "B" or "A" in A/B Mode and change channels on your amp. Use as a kill switch: guitar to "In", amp to "B" or "A".